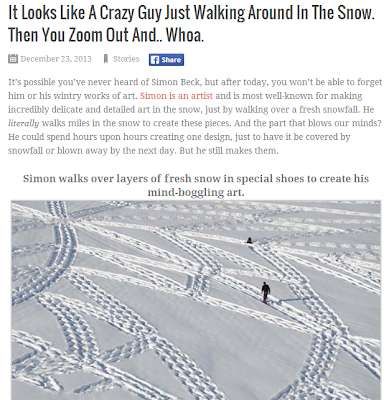 * This is my article the other day in interaksyon.com. 1. 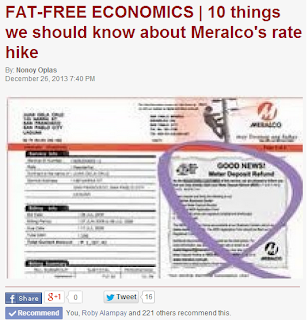 The P4.15 per kilowatt-hour (kwh) electricity rate increase is short-term. It should have applied for only a month (if the increase had not been staggered) while the Malampaya natural gas platform was under maintenance. After that, the original lower rates, other things being equal, should return. Thus, contrary to public opinion, the rate hike is not long term. 2. The rate increase stems mainly from the generation charge, partly from the transmission charge, but nothing from the distribution charge. As distributor, Meralco is on the last stage of the electricity supply chain and is the collecting agent for all players (including the taxes that the government levies), and so naturally receives the brunt of public anger. Compare the December rates above with the November rates below. Supply charge remained at P0.6043/kwh or P19.88/customer/month, while metering charge also stayed at P0.4066/kwh or P5.00/customer/month. 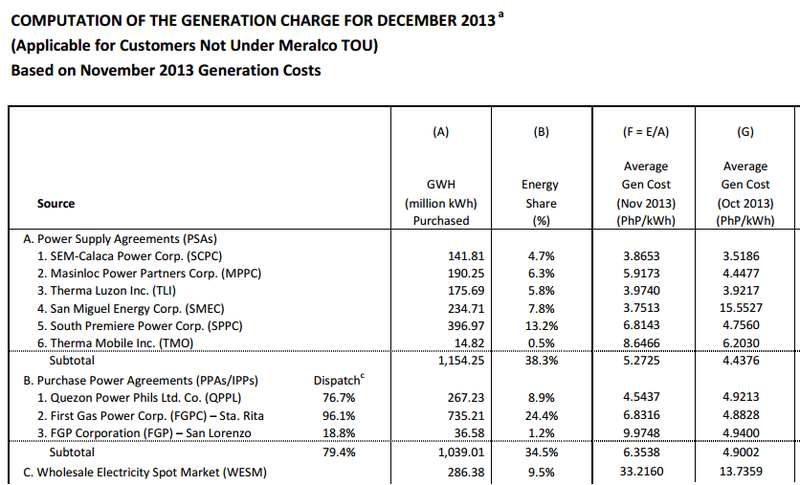 The generation charge from November to December this year increased by P2.00/kwh, transmission charge by P0.0372, and system loss charge by P0.1950. As for the distribution charge, no increase. 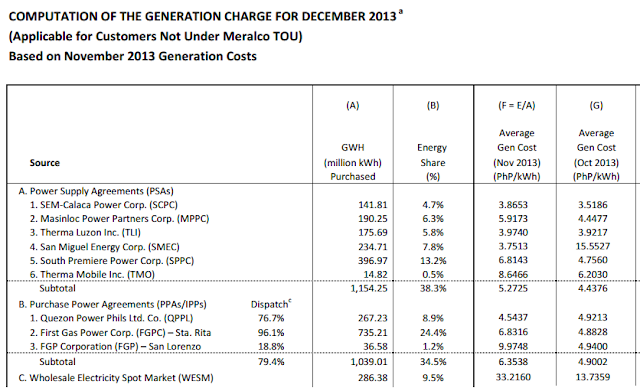 Last October, the per kwh charges were as follows: generation charge, P4.6832; transmission charge, P0.8652; and system loss charge, P0.5050 -- all lower than the November rates. But the September rates were slightly higher than those of October, as part of the normal fluctuation in prices per month. 3. Lack or absence of competition is bad. Electricity distribution in the Philippines is always a monopoly, given to a specific entity through a congressional franchise. 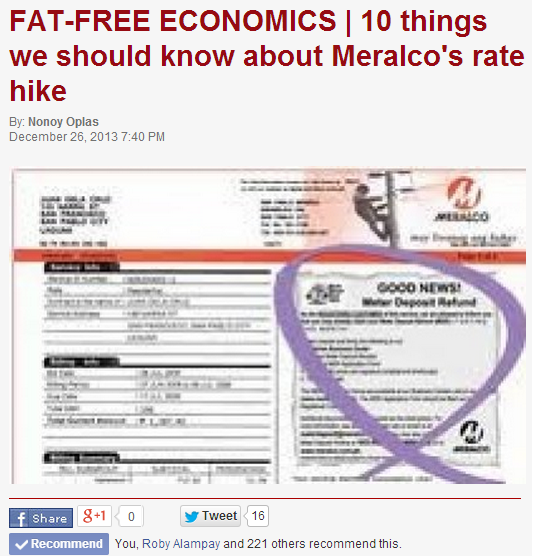 The Meralco monopoly is an example. In addition, there is a Constitutional restriction, as foreign equity is not allowed. 4. Meralco largely relies on natural gas-run power generation plants. Merry Christmas friends. Nice weather here, cloudy everyday, brief rain showers sometimes in the afternoon. Wish you nice vacation. Me, have articles to edit, and a PH economic review to submit before the year end. Am not complaining, I like writing. Cheers, and merry Christmas once again. I left the office 7pm yesterday, dinner, then I drove the girls to see again the lights of Makati CBD, then the lighted parks of Urdaneta and Bel air villages. The latter's park has a giant christmas tree with a giant angel at the top, ang galing. From Bel air, one can see the well-lighted exterior of buildings of Rockwell Center, beautiful. Today, back in the office. Merry Christmas friends. Minimal politics and pol. discourse, mostly family and friends and communities. The spirit and nature of civil society. Let's aim for this nature in the years to come. Cheers. Thanks to friends who read and/or liked it. Civil society is a state where people are mature and responsible enough to run their own households and communities without being heavily regulated and told to do certain things, or prohibited from doing many things. Thus, the focus is on volunteerism,assignment of rights and obligations; freedom and responsibility intertwined, one is not possible without the other. In this state or nature of society, a lean state is the result. People seldom talk about politics and politicians, but on ideas how to do things with minimum coercion, regulation and legislation. 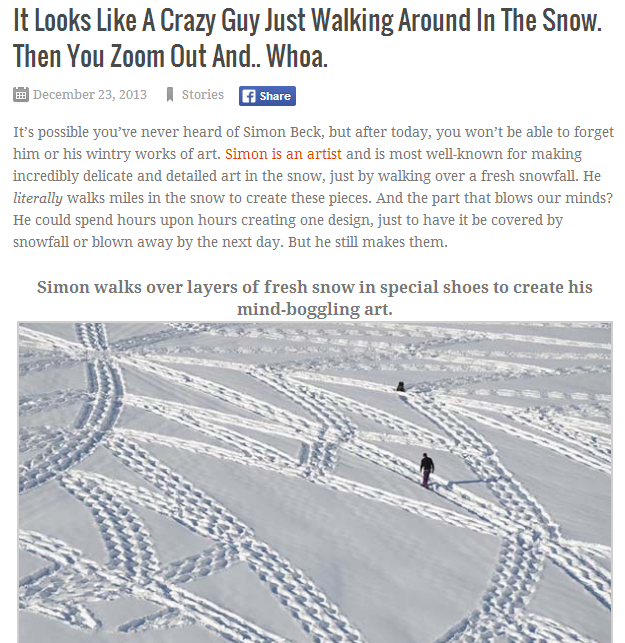 Finally, I like this story, this guy is wonderful. "He could spend hours upon hours creating one design, just to have it be covered by snowfall or blown away by the next day. But he still makes them." and Mayor all Christmas be white. These are some of the revised Christmas carols here in Manila after Makati Mayor Junjun Binay's Dasma gate. 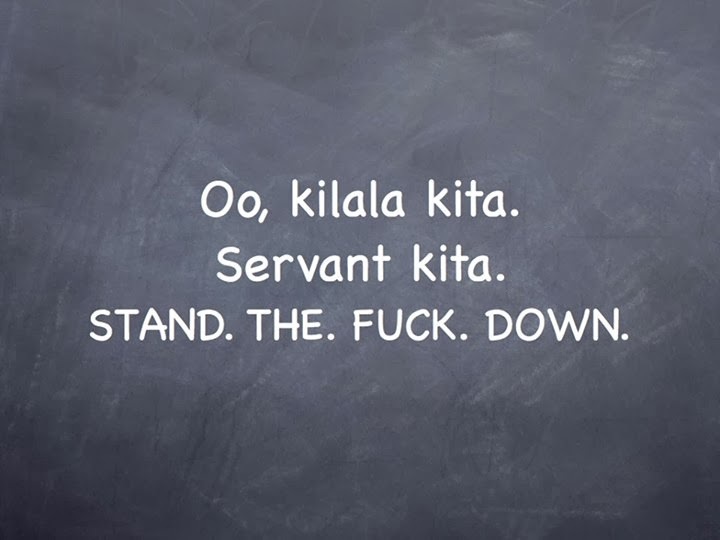 Typical Pinoy humor. may iba nagpayong at gabi pa... mainit ba buwan? Oo nga, bakit pinapayungan sa gabi? 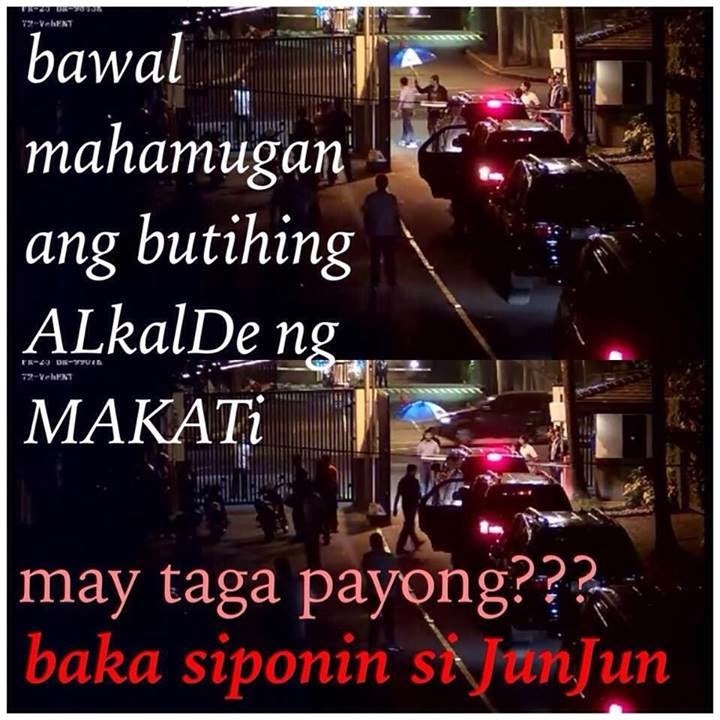 Nilalamig ang bumbunan!?! 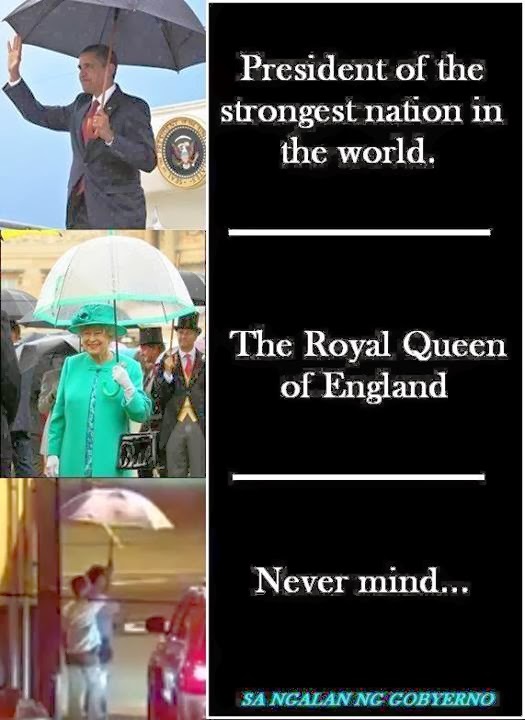 I can understand Imelda Marcos with the umbrella, that was then. Baka matunaw sa ambon? bakit kaya pinapayungan? 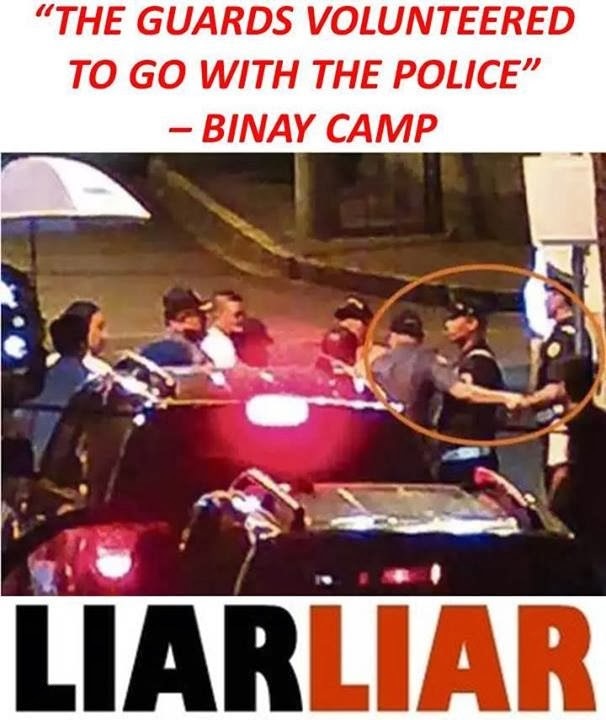 baka tamaan ng kidlat? may payong sa gabi at walang ulan... baka matunaw ang whitening lotion? 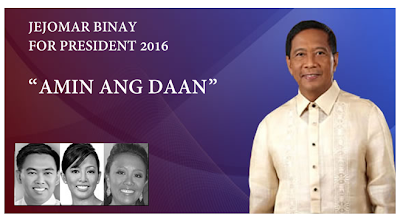 The Binays' pattern of politics seems to be clear. It is not based on any rule of law. Everything is about personal exemptions, pakiusap, entitlement. Remember, he volunteered to talk to 'his classmate' Nur Misuari during the Zambanga siege? He suggested letting the rebels exit through a 'corridor of safety' instead of charging them according to law. 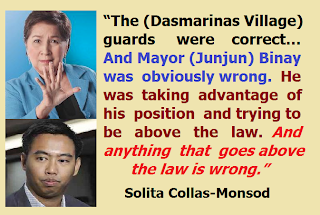 His son wanted to be exempt from the gate rules as 'courtesy or entitlement for being mayor. Let's not forget the relief goods with his name and picture. According to one FB post, when the Binays shop in Rustans Makati, they park their cars in the front entrance and wait there leaving everyone to walk to their cars even on a rainy day. Many more stories are coming out. Di ba dapat tapos na tayo sa ganitong pulitika? 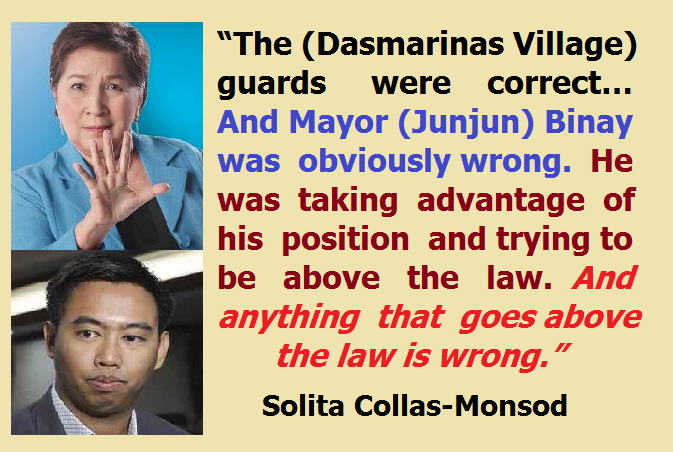 "The security guards who figured in the controversy will receive plaques of appreciation from residents of Dasmariñas Village. Mike Bucoy, general manager of Dasmariñas Village Association, said the plaques of appreciation would be handed to the security guards during the employees’ Christmas Party. The security guards will also receive Christmas baskets from the homeowners’ association, Bucoy said. Bucoy said the security guards did nothing wrong by refusing exit to Binay’s group at the Banyan gate. He added that the village did not have a VIP policy, contrary to the statement of Ram Antonio, head of Eight Right Security Inc. The Binay family is the longest-reigning, most politically influential in Makati City, the financial capital of the Philippines. Currently in power are Vice President Jojo Binay, daughter Sen. Nancy Binay, another daughter Congresswoman Abby Binay, and son Makati Mayor Junjun Binay. The wife of the VP was also a former Mayor of Makati. Last November 30 this year, an incident happened inside Dasmarinas Village, Makati City. 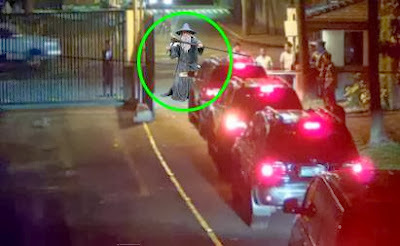 Before 12 midnight, Mayor Junjun and his backup vehicles wanted to get out of the Banyan gate, fronting Mckinley Road. Dasma village security guards that night did not allow him to exit. The policy is by 10pm, minor gates like Banyan, Lumbang and Mantrade gates, entry only for cars with Dasma village resident sticker, but even residents cannot exit there. They must use the two main gates at Palm Ave. and Pasay Road. During the brief stand off, a guard of the Mayor was caught on CCTV loading bullets in his gun and went to the village security guards. Scenes like this attracted public anger, as expected. Mayabang, arogante. When the Makati police came, they forced open the bar, then dragged the three village security to the police station. 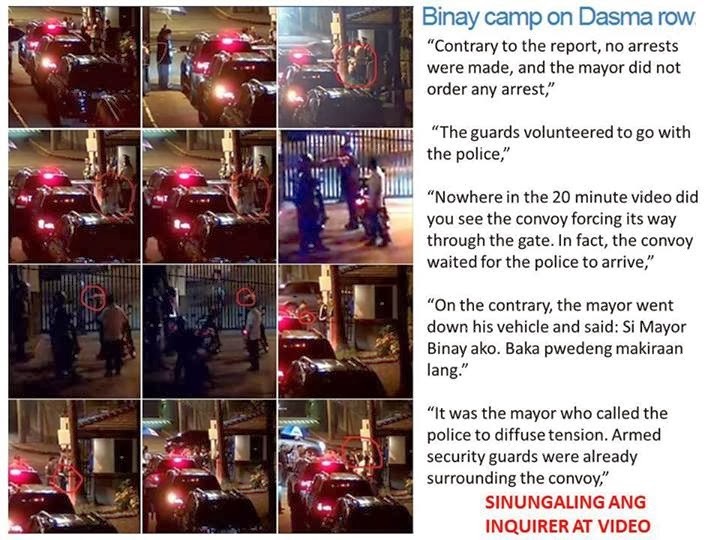 Earlier report from the Inquirer said the 3 guards were dragged then detained for four hours before being allowed to go back to the village. One beauty of CCTVs. They allow the photos and videos to speak for themselves. Ay naku Mam, Totoo yan. Kilala ko sila. 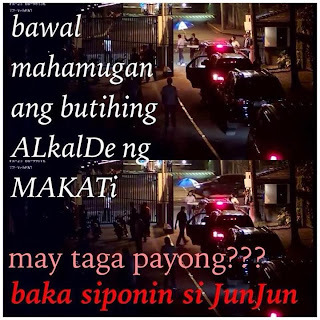 Si Jojo, JunJun, Nancy, Elenita, Abigail daw ang mga pangalan..
(4) Let’s not make a big deal about it. It was only a Christmas get-together between the guards & bodyguards. Mayor was even invited. Notice the Christmas lights? The giveaway were umbrelas. The PNP upon hearing about the occasion joined in..
A few days ago, a jewelry shop in SM North Edsa in Quezon City was robbed by a robbery group known as the “Martilyo Gang”. 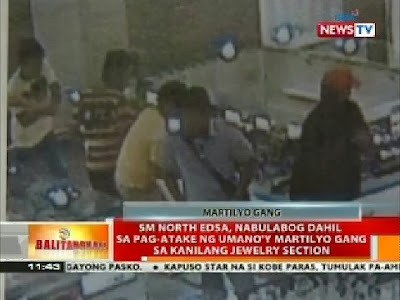 This group allegedly use martilyo (hammer) to break open the stalls and/or the glass boxes, steal and run away in crowded areas. 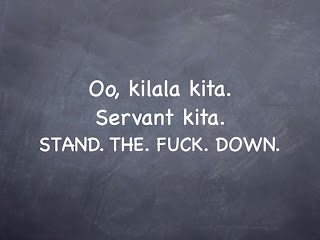 After the incident, Pinoy humor strikes, as always. Like these jokes and images, taken from various sources in the web. 1. Sinong rapper ang bawal na ngayon pumasok sa mga malls sa Pinas? 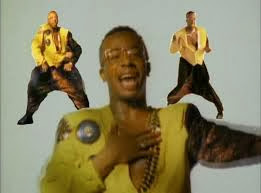 -- Si MC Hammer. (from Dennis Arroyo). 2. Anong SUV ang bawal ibenta malapit sa mga malls sa Pinas? The Hummer. 3. Sinong movie character ang bawal na rin sa mga movies in the malls? Si Thor. 4. Aside from gold, silver and other mineral products, what else to speculate in a stock or goods market? 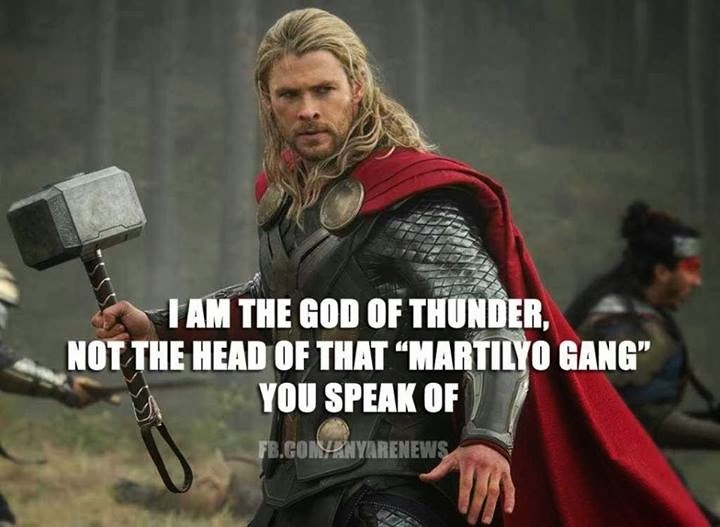 – Hammer. The price will certainly go up because it would be heavily regulated and become harder to get. 5. 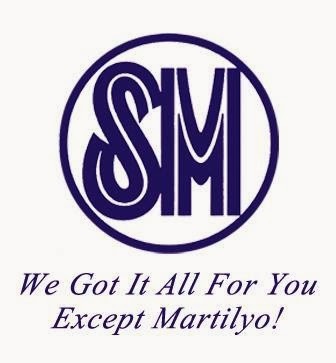 BAWAL NA NGAYON ang martilyo sa malls. Pag bibili ka raw, sa labas mo na ito iki-claim. At napangiti ang members ng MASO GANG. 6. DILG Sec. Mar Roxas suggested ordinance to ban hammers inside malls, also crowbars and other hardware materials. Ang galing ng logic ano? 7. New SM motto: We got everything here, except hammer. 8. 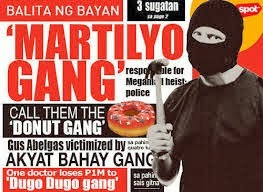 SM ROBBERS inuna munang kunin ang mga pabango bago ang mga alahas. Sa susunod mga kuyang, maligo muna bago magnakaw, ok? * Note. ALL images here taken from the web, not one I have produced. Cheers. MANILA - A few weeks ago, an article from forbes.com written by contributor Jesse Colombo, “Here’s why the Philippines’ economic miracle is really a bubble in disguise,” went viral in the social media. One may not agree with the analysis and conclusion but many data presented were useful. 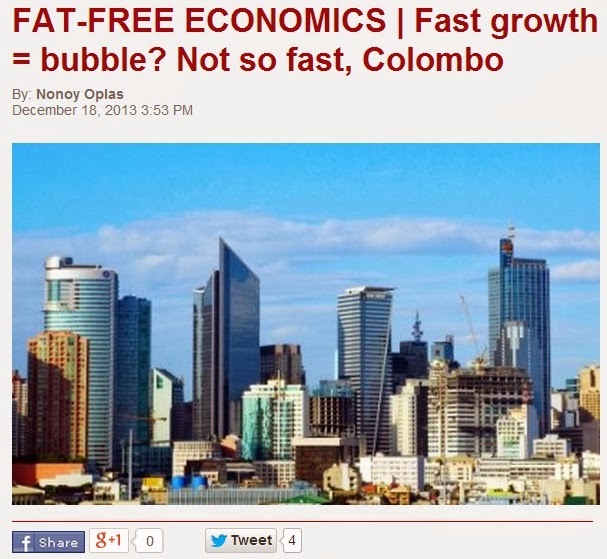 The Philippines’ recent strong economic performance -- like the 7.4 percent GDP growth in the first three quarters of 2013 -- is it a miracle or a bubble in disguise, as Mr. Colombo and a few others would put it? Chart 1. 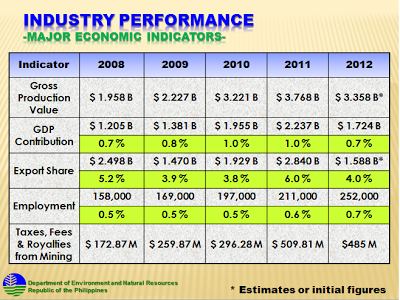 Quarterly GDP growth, 1st quarter 2009 to 2nd quarter 2013. 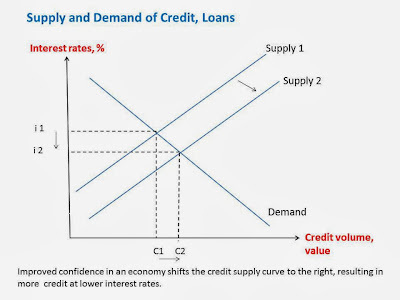 An “economic bubble” simply means the value of something is a lot higher than what it should normally be, thus its price is not anchored on its real earning capacity – what we call macro fundamentals. People should recognize that capitalism, innovation and competition is about bubbles inflating and popping in an endless cycle. For some companies, it is the cycle of expansion and contraction, with some going through a phase of bankruptcy, temporary or permanent. Capitalism without huge rewards is like religion without heaven, and capitalism without bankruptcy is like religion without sin. Innovation and competition always result in some bubbles. 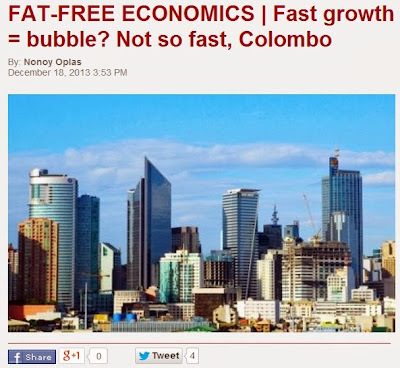 To disprove Colombo’s conclusion -- that the country’s fast economic growth was a “miracle” or a “bubble in disguise” -- three data sets are outlined below, using the very same charts he cited in his article. 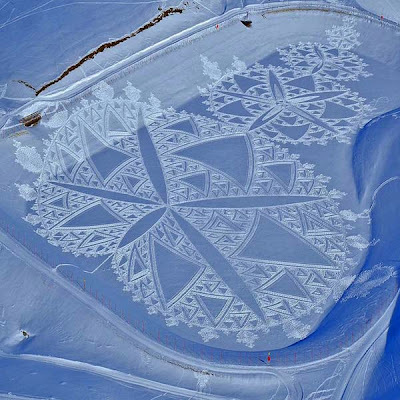 In a sense, this is analyzing the same set of data from a different perspective. 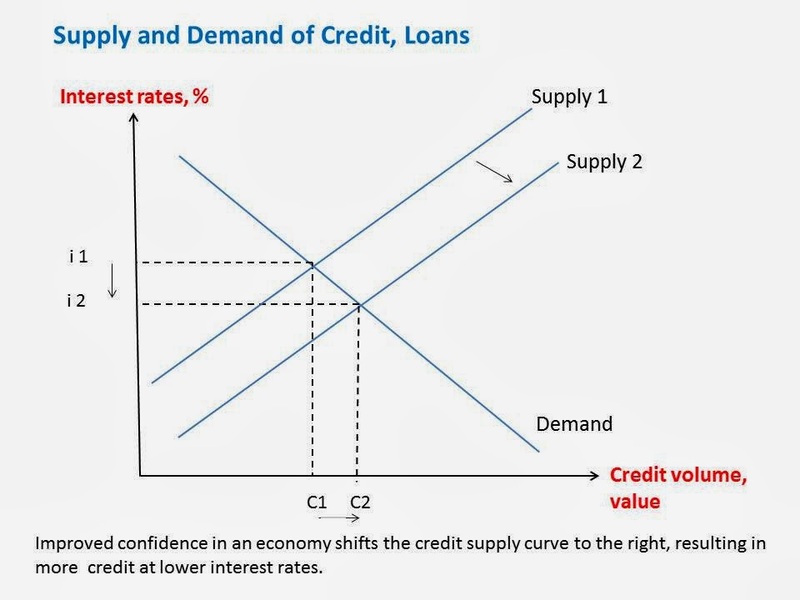 Data A: Interest rates declining. Both short term and 10-year bond rates are coming down. This means that there is more confidence in the long-term growth potential of the economy, even with bubbles and instabilities factored in. Chart 2. 10-year bond rate, unprecedented 3.61 percent. (US is 2.79 percent). Chart 3. Benchmark interest rates are at all-time low. Chart 4. Consumer loans to individuals and companies also declining. 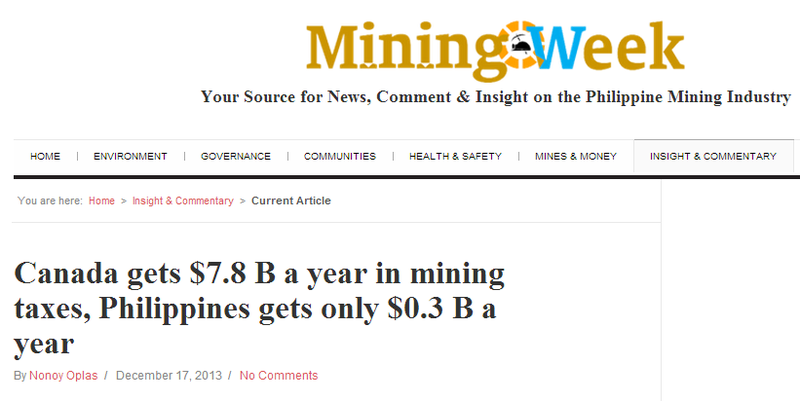 * This is my article today in Mining Week. “The Mining Association of Canada released its annual report on December 3 about mining industry payments to Canadian governments, prepared by ENTRANS Policy Research Group. Now in its tenth year of publication, the report found mining payments to federal and provincial government coffers total an estimated $71 billion from 2003 to 2012 in aggregate mining taxes and royalties, corporate income taxes and personal income taxes paid by mining sector employees…. The 71 billion Canadian dollar is equivalent to around US$ 78 billion at average exchange rate of CA$1.1/US$ exchange rate from 2003-2012. That is an average of US$ 7.8 billion a year, wow. 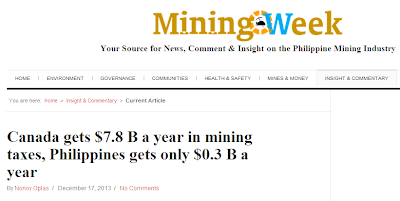 The Philippines, which is supposed to be a mining powerhouse with an estimated mineral potential value of around US$ 1 trillion, is not able to optimize both its mining corporate revenues and taxes. From 2008 to 2011, the Philippine government was able to collect only around $310 million a year in corporate taxes, fees and royalties, from large-scale mining companies. Source: Dr. Elmer Billedo, Assistant Director, MGB-DENR. Presentation at an EITI Conference, September 27, 2013, Crowne Plaza, Ortigas, M.Manila. 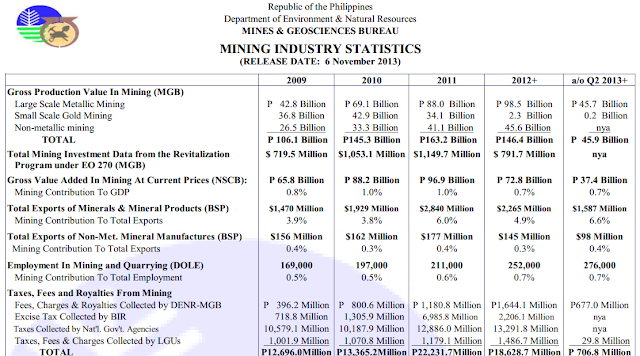 The above Philippine data of mining taxes, fees and royalties is understated because (a) it covers only large scale mining firms, and excludes small scale mining that produce huge amount of gold via the black market, and (b) personal income taxes, social security contributions by workers and officials of large mining firms are also not included. By how much is the projected understatement? Maybe +/- $150 million per year, a rough estimate. 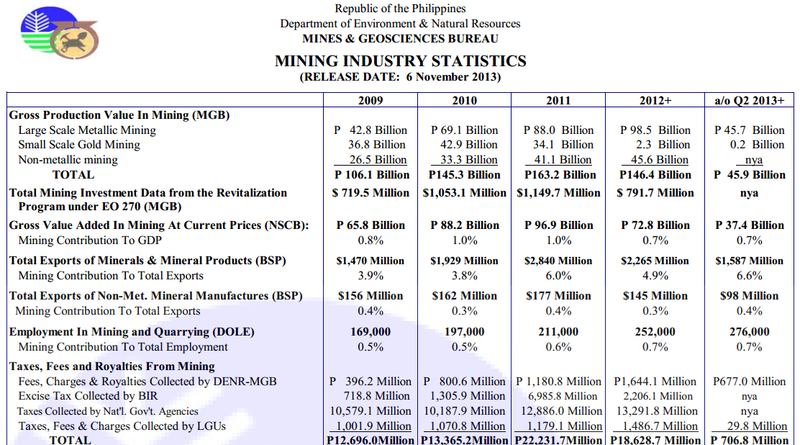 The way business uncertainty and financial instability is inserted in the country’s mining sector, both the economy and the government are the net losers here, as shown by preliminary 2012 and 2013 data from the MGB-DENR. Mining gross value production in 2012 was comparable to that in 2010 but lower than in 2011. Production this year, if the first half figures are the basis, should be less than P100 billion, which is even lower than 2009 and 2010 production. In terms of taxes, fees and royalties collection, this year can be a catastrophe compared to collections in 2008 (P7.7 billion), 2009-2012. The national government itself should be alarmed of this trend. If certain sectors are against large and corporate mining due to environmental, cultural, political or religious reasons, the national government should help explain to them the threat to people’s livelihood and fiscal shrinkage of collections from the sector. Very often, the same group of people who express strong opposition to large scale mining are also lobbying for more government welfare and subsidy programs, which are sourced from taxes and regulatory fees collection. The $0.3 billion Philippine government collections from the large mining firms should see shrinkage in the coming years if anti-large mining and anti-capitalism sentiments are not checked and neutralized. The campaign by the government (LTFRB, LTO, MMDA, LGUs, etc.) and some private citizens against "nangongontrata (fare contracting) or isnabero" taxi drivers this season is wrong. Airlines, shipping lines, hotels, resorts, can raise their price during the holiday season, why can't taxi drivers? Bus lines' fares are also government regulated, they can not raise their fares, but buses can adjust by packing in more passengers than usual to maximize revenues. Taxis cannot do that. One of my friends not only support "nangongontrata" taxi drivers, he initiates the contract. If he is in a hurry and faced with competition from many other passengers, he would wave two bills of P100 each. Taxi drivers snub other passengers and stop in front of my friend and asks, "Ser saan po sila?" (Sir, where are you going?) My friend's destination is worth only around P100-P120 using the usual taxi meter. My friend takes the cab easily. The others can only complain and text their friends, "mahirap kumuha ng taxi". Taxi drivers and operators should be allowed to raise their fares, especially on holiday season. Like they can put a sign, "Flag down P75" instead of the government-controlled P40. Those who are not in a hurry can snub those expensive taxi and wait for the non-contracting drivers. Those who are in a hurry whose time is higher than the P35 difference in flag down will get that taxi. They got to review the system. most of these drivers are on 24-hr shifts. and most do these just to earn that "boundary". Going rate for the boundary is P2000 per day about 2 years ago. Im not sure what it is now. P1200 if you take the taxi out for 12hrs. On top of this, the drivers also got to put up their own fuel. for 12 hrs driving that should be around P1000? for 24 hrs? I dont know. So these are just the costs of driving out their units. what if you want to earn P1000 a day being a taxi driver? you probably got to earn around P5000 a day, gross, for that to happen. But wait. if you earn 1000 a day, you can’t drive for 48hrs straight. you can do this by driving every other day. so drive 24hrs, 3x a week, you earn P3000 a week. Aaaaand, they get penalized how much when this policy is violated? This does not take into account that on some days, the drivers cannot even meet the boundary. so there are days, as a taxi driver, that they would work 24 hrs and not earn a single cent. how much is the penalty again? Yesterday, I walked at Glorietta, then SM Makati, around 2pm. Long lines of people looking for a taxi. I think that was a signal. Some people demonize taxi drivers for demanding higher pay (employees have bonuses, employers have set aside funds for the season, taxi drivers are supposed to earn the usual months). So many taxi drivers avoid areas where there are plenty of spies and "reporters" to LTFRB. Do the passengers win or benefit from this situation? I doubt it. If I were the passenger standing for 20 minutes or more carrying grocery bags waiting for a taxi, I better pay higher so long as I don't stand and wait too long. 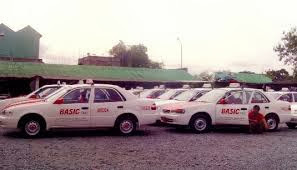 The Land Transportation Franchising and Regulatory Board (LTFRB) allows taxi fare deregulation but only for crony firms, like the two airport taxi, Bayan Ko taxi which charges flat rate by zone, and the yellow taxi which charges P70 flag down then P4 per 250 meters. The rest, must charge only P40 flag down then P3.50 every 250 meters. Airlines can adjust their fares depending on expected volume of passengers. Thus on rainy/typhoon season, they beg for passengers by charging low fares. On holidays, they charge high. Hotels and resorts do the same. Also boats for hire and horses in tourist areas. Differential pricing is beautiful, it is just and fair for all. This holiday season, even ordinary employees who normally skip or snub taxis take the taxi, they have bonuses, they have to attend many parties and reunions in nice dresses and carrying gifts. Or people hop from one party to another on the same day or night and they avoid driving due to heavy traffic, they have to rely on taxi. Taxi drivers should be allowed to earn high this season. The economics of ordinary supply and demand for taxi is correct. Government fare regulation is wrong. Either the LTFRB should be abolished, or that agency must deregulate fares. For taxi, jeeps, buses. I noticed only recently that my driver's license has already expired, in October this year. So this afternoon, I went to the Land Transportation Office (LTO) satellite office at the Ayala MRT station in Makati. I entered around 2:25pm, got my license and left at 3:58pm or total of 1:33 waiting time. This is longer than my previous experiences in the same office six years and three years ago. A driver's license expires every three years. Six procedures, not four as the diagram at the LTO office would depict. 1. Show your soon expiring or expired license at Window 1, they will give you a license renewal form, instruct you to undergo a "medical exam". 2. Go to the next room, pay P100, and go through a "medical exam." 3. Go back to Window 1 and submit the filled up renewal form plus the certificate that you have passed the medical exam. 4. Have your photo taken plus give your electronic signature, Window 2. 5. Pay at Cashier, Window 4. 6. Get your new license, Window 3. The "medical exam/test", you enter a small room, they get your weight, height, asks your normal blood pressure (no actual BP measurement is taken), asks you to read one line of those small random letters with your right eye close, then with the left eye close, and it's done, you have "passed" the medical test, done in 1-2 minutes. 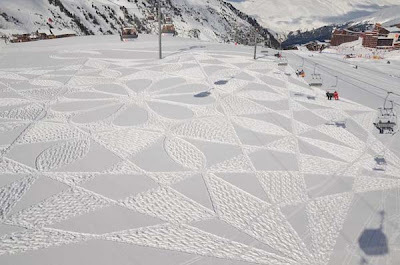 Done by J n W Drug Testing Center. 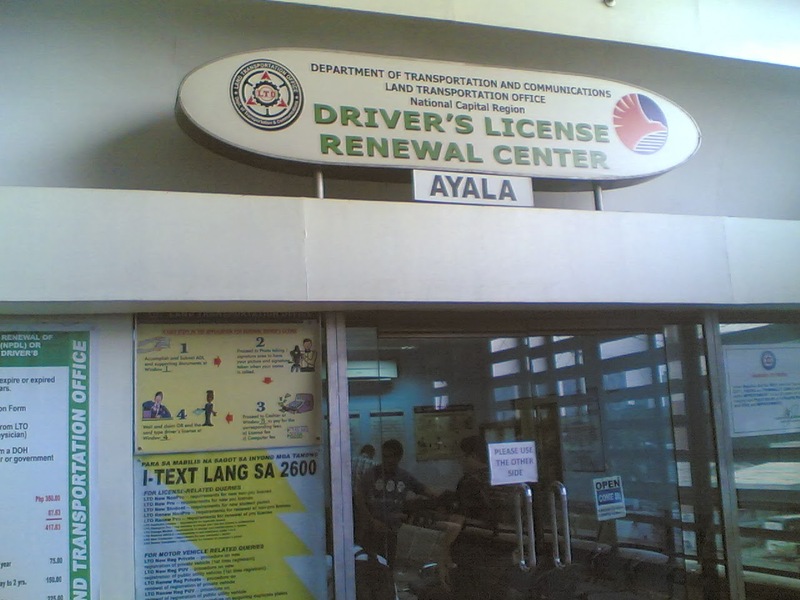 A summary of my experience in renewing a driver's license at LTO, Ayala MRT station office. So, over the past six years, there is one improvement, they removed the drug testing procedure and payment of P300. But the waiting time remains high, more than one hour. With continued technological development almost anywhere, things should have been faster. The aircon was pathetic. One should sit at the inner seats, away from the door, to feel the "con", otherwise, it's just hot air near the door. Government is really slow, at adapting to changes, if changing at all. That computer fee should be abolished. Even grade schoolers now use computers and laptops in their schools, how much more with a huge government agency like DOTC and LTO. I heard that in Singapore, a driver's license is for a lifetime. It is only removed or cancelled if the driver gets involved in a serious accident and it was the driver's fault, or the driver has committed repeated violations of certain traffic rules. We should adopt the same practice here. But given the generally corrupt culture in the government, it is not going to happen soon. An official of the University of the Philippines (UP) Manila, where the College of Medicine and the Philippine General Hospital (PGH) is based, Dr. Tony Leachon who is also a friend, posted in his facebook wall about the need to raise the budget of the PGH. This year, the UP System (UPS) total budget is P9.53 billion of which P2 billion goes to PGH alone. Next year, UPS total budget will be P8.1 billion, and again, P2 billion of which will go to PGH alone. This year too, UPS’ capital outlay (CO) is P1.45 billion but zero for next year. Those in UP Manila estimate that PGH needs P4 billion a year to run smoothly, a “Harvard like institution” and at least P1 billion is for CO alone to improve or replace many of its dilapidated facilities. There are two moves being proposed. One is to double PGH annual budget and two, PGH should have a separate budget from UPS budget. I suggested that there should be similar effort to pressure the Manila City government to contribute to PGH regular funding. I think it is safe to assume that about one-fifth of PGH’s patients, confined and outpatient, are residents of Manila City. The City of Manila government does not feel it has any responsibility over PGH funding as it also finances about six city-owned hospitals, like Ospital ng Maynila , Ospital ng Sampaloc, Tondo General Hospital, Sta. Ana Hospital. This is not correct. The city government has "no responsibility" but "has privilege" or "has right" to use PGH for its residents. Right without responsibility is a good formula for free riding and citizen irresponsibility. A better option for the city government would be to sell or privatize one or two of its six (?) city hospitals, get the money and contribute to PGH regular funding. This practice by national government agencies to subsidize Manila-based facilities and give Manila-based residents various subsidized or free services contribute to more congestion of Metro Manila. 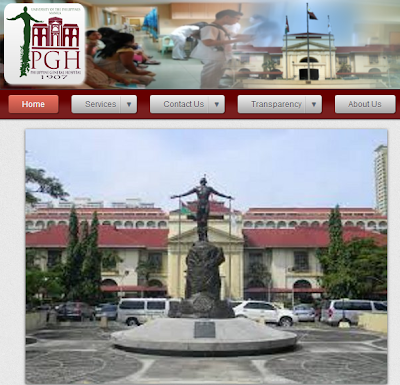 People in the Visayas, Mindanao, Bicol or Ilocos regions have no PGH but they contribute to the annual budget of PGH. They do not have MRT or LRT but they contribute to the annual subsidy of LRT and MRT. So many people from the provinces jump to Manila, partly to enjoy these freebies that are not available in their provinces and cities. If the Manila City government will not contribute to PGH funding, PGH should NOT get budget increase from Congress. Instead, Congress-appropriated budgetary hike for healthcare should go to existing big DOH hospitals in Mindanao, Cebu or Iloilo, Bicol, Ilocos, Cagayan regions. Make these region-based hospitals become more modern, in infrastructure and health professionals’ training and specialized services. This way, the old practice of national agencies (UP, DOH) favoring Manila-based residents and contribute to further Manila congestion will be corrected. Someone suggested that my above proposal does not and should not apply because of health insurance portability principle, that national taxes should apply to everyone. If we are to follow this logic, then it should be fine to have 3 or 5 more PGH in Manila City alone, and if funds for healthcare in other cities and provinces are not sufficient, public hospitals there can be closed down, anyway the people can go to the many PGH system in the city of Manila alone. Any increase in public health should go to one regional or big island hospital -- in the Visayas, Mindanao, Bicol, Ilocos, or Cagayan region. Any significant increase in PGH funding should come from the Manila City government and from private donation, what Atty. JB Baylon is doing to raise funds for the PGH Medical Foundation through the "I am a Person Giving Hope (PGH)" campaign. Many showbiz, basketball stars and corporate individuals are supporting this cool initiative. There should be more civil society and corporate involvement in increasing PGH funding, it should not rely on more national funding. Once again, the Manila City government must contribute to PGH annual funding as the hospital is serving many of its residents and voters. Bacolod City -- Arrived here yesterday in the provincial to attend the wedding of my beautiful niece, Nessa Oplas-Sy. This morning, I went to my hometown, Cadiz City to see again my parents, took some photos. Out of the 84(?) provinces of the Philippines, I think Negros Occidental has the most optimal land use. One will hardly see even half-hectare of idle land. Cities, housing villages, coconut, banana, tree farms and sugarcane farms. 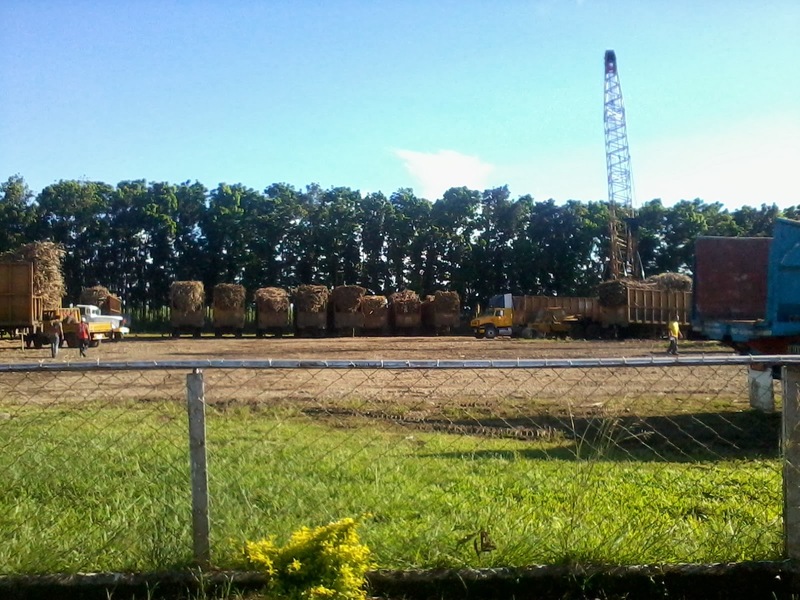 Lots of it, Hundreds of thousands of hectares of sugarcane farms. 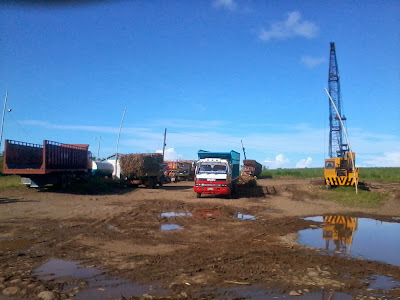 A transloading station of sugarcane trucks in Manapla, about 45 kms. 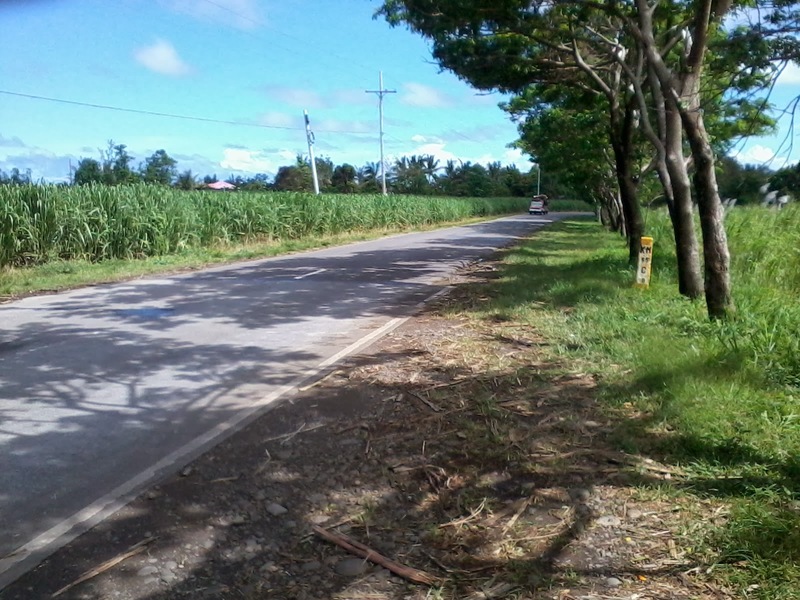 north of Bacolod. 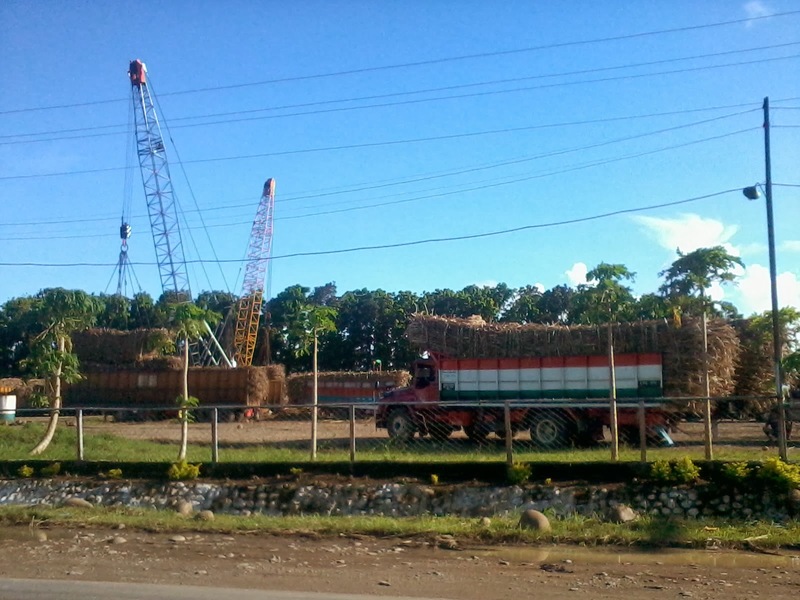 The canes are unloaded from 6- or 10-wheeler trucks, weighed, then transferred to 18-wheeler trucks, to be brought to sugar centrals for refinery.. 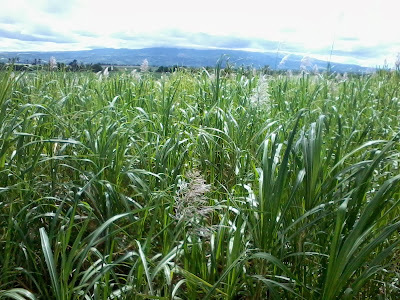 The province is the "sugarcane capital" of the Philippines. 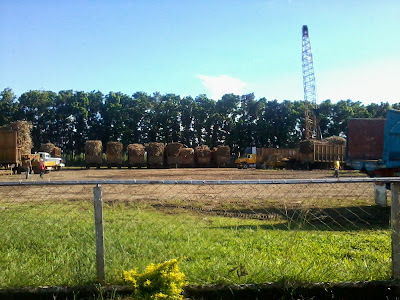 Its neighbor, Negros Oriental, has lots of sugarcane farms too, but not as extensive as those in the Occidental/east side. Another transloading station near Caduhaan, Cadiz City. 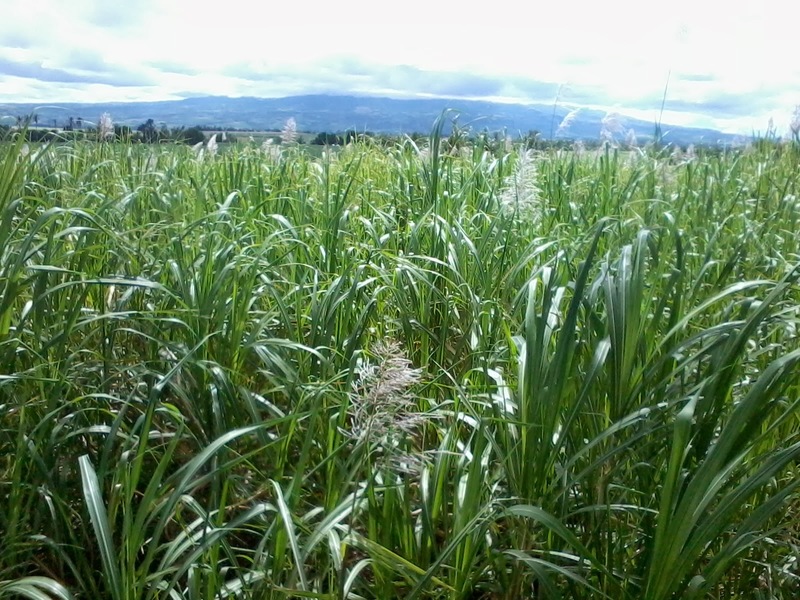 There are lots of criticism about the sugarcane-dependent economy of the province. Some are valid, some are not. While it is true that huge tracts of land are owned by a few families, there are plenty of small land owners too, those who own from one to five or seven hectares. 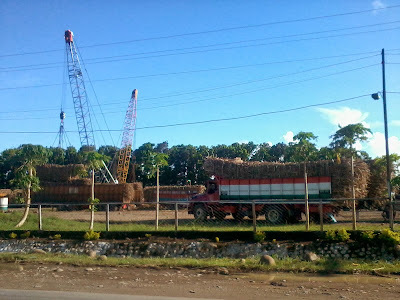 With a huge population, more than two million people as of the 2010 census, more and more sugarcane farms are converted into wide residential and commercial areas. Energy Econ 6: Intolerance in Anti-Coal Hysteria, Cadiz Coal Project, September 17, 2012. * A guest post from a friend in Kathmandu. Robin is a co-founder of Samriddhi, The Prosperity Foundation (http://samriddhi.org/), a free market think tank in Nepal. 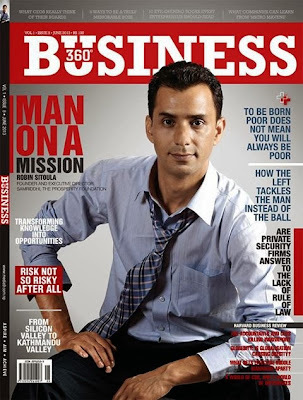 He was featured in the June 2013 issue of Business 360, Nepal's free market leaning monthly business magazine where I also write a column under "Free Market". Nepal has been a part of an elongated political transition for nearly half a decade now. Following the Nepalese Civil War (1996-2006) monarchy was abolished and the Unified Communist Party of Nepal (Maoists) emerged as a major mainstream political party from the first ever Constituent Assembly (CA) election held in 2008. After the first CA failed to deliver the constitution in May 2012 and got dissolved, efforts were made to create a multiparty government. But the political negotiations where the Maoist party exercised much influence (Dr. Baburam Bhattarai from UCPN (Maoists) still being the Prime Minister of the caretaker government) led to the formation of a technocratic electoral government in March 2013. In the meantime, a hardline faction split from UCPN (Maoists) in June 2012. The split faction led by Mohan Vaidya later opposed the second CA elections held in November 2013 and even used violent means, such as bombing, to deter the political parties and citizens from participating in the elections. Amidst ambiguity and confusion regarding the electoral technocratic government, led by Chief Justice Mr. Khil Raj Regmi, the second CA election was initially announced to be held in November 2012. Despite speculations to the contrary, the elections were held in a largely free and fair manner on November 19, 2013. With a voter turnout of over 75% (in the face of violent obstructions and national strike by the hardline Maoist faction) and deemed free and fair by almost all national and international observers, the results of the election has left a huge majority of people and analysts shocked, especially the Maoist party itself. With the results of both first-past-the-post voting and proportional representation, it could be said that Nepal’s politics has moved marginally towards right where Nepali Congress, the country’s oldest political party and considered to be fairly centrists have won around 34 percent of CA seats. Similarly, The Communist Party of Nepal (Unified Marxist-Leninist) has come in second with around 30 percent seats. Despite their party’s name, the Marxist-Leninists are considered only slightly left of the center in Nepal. The Unified Communist Party of Nepal (Maoist), the dominant Communist party, secured only around 14 percent of the seats, which is a small fraction of its previous share of 37% in the 2008 CA election. The conservative party with monarchy and Hindu nation still on their agenda won around 4 percent of the seats whereas other parties considered left of the center constitute around 11 percent of the total CA seats. The Unified Communist Party of Nepal –Maoist (UCPN-M), which was the largest party in the last CA and other Madhesee parties-- with predominance in the southern belt in the2008 election-- who lost several seats do not seem to be happy with the results. They have been claiming that the elections were rigged and it should be ‘re-evaluated’. UCPN- Maoist has gone to the extent of announcing that the party will not participate in the CA process if the results are not revaluated. This is seen by many as yet another tactic to divert the agenda from the Maoist Sumpremo Prachanda’s failure as a party leader and to ensure their larger participation in the CA despite the hard hit loss. Looking at the current mandate of the largest (but still not enough to 51% majority) party in the CA, Nepali Congress should lead the government in coalition with other parties and also lead the process of constitution formulation and promulgation. The CA needs to finalize the constitution within two years and run the government of the next four years. Nepali Congress has had the reputation of being a pro economic liberalization party. However, power conflict and personality clashes and rifts within the party are very strong, as seen in the past. This kind of political bickering can already be seen within Nepali Congress and CPN-UML. Yet people of Nepal are anticipating a new government will be sworn in within a month’s time. Nepali Congress, as a mandated leader of this process has been making public statements that it would work towards creating a bi-partisan consensus government in this leadership. But the possibility of a bi-partisan consensus government seems bleak. In a case like this, the best likeliness is that the largest two parties -Nepali Congress and CPN-UML- will form a joint government. If this scenario works out, many expect a fairly stable political situation and possibility of a constitution actually being promulgated within stipulated time period. However, the strategic steps of the UCPN-Maoists will be critical to the overall process. As the political discourse has been shaping every day, it is yet premature to predict what the UCPN (Maoists) will settle with. Will they accept the mandate of the elections and adhere to the accepted democratic norms, or will they come up with new non-democratic stunt to win political strength? That is yet to be seen. (Note: The percentage of parties’ representation in the CA (mentioned here) is calculated without considering the 26 seats that will be nominated by the new cabinet of Ministers and will be added to the current 575 CA seats to form the full assembly of 601 members). A friend from UPSE alumni association, Mike A. wrote me in our SEAA yahoogroups and asked my views on Pope Francis, as he has made a critique on the Free Market ideology, and the Social Darwinian "survival of the fittest" philosophy. Below is portion of a news report from theblaze.com. Pope Francis rebuked the culture of profit at any cost as he issued a 224-page mission statement for his papacy Tuesday, saying that mankind is called first to care for his neighbor and the poor…. The document also denounced the survival of the fittest theory of economics “where the powerful feed upon the powerless” and the poorest in society are excluded…. 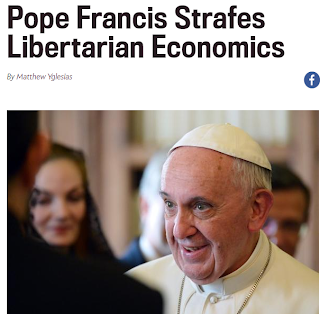 Unsurprisingly, as is the norm for this particular pontiff, some media outlets chose to present Francis’ words as an attack on yet another traditional pillar of “conservative” ideology: the free market. Today Pope Francis blasted capitalism as "the new tyranny" that "kills" people. Well, a religious argument is based on faith, on belief and morality not so much on hard facts. No one asks for graphs, charts, tables and regression analysis to believe that a God exists, people just believe and have faith in a God. To disappoint some people’s obsession with central planning and critique of free market, now invoking the Pope to strengthen their weak and lousy belief, here are some quickies. 1. The free market system, the capitalist economic system, gave us yahoo, yahoogroups, google, facebook, youtube, twitter, linkedin, Samsung, Apple, iPad, HTC, Starbucks, McDo, Mang Inasal, Aling Karing Carinderia, Toyota, GM, BMW, Vespa, Suzuki, Shimano bikes, etc. They are all useful. If people do not find any of them as useful, then they don't use or buy it. There are still people in fact who don't have facebook until now, it should be fine, no one coerces them to get one. In addition, no one was also coerced via taxation to finance the start up of those private enterprises. 2. The non-free market, the non-voluntary exchange, the force and coercion sytem, gave us what? 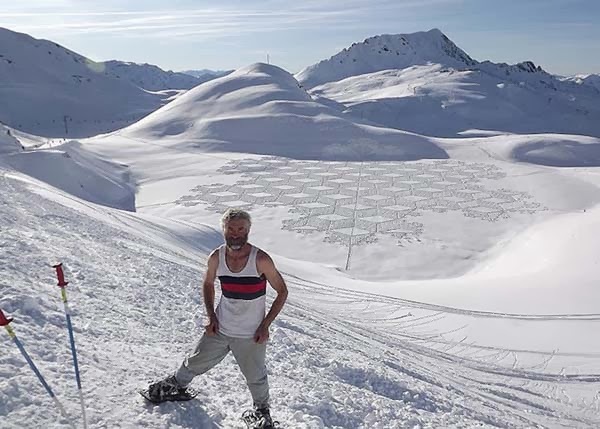 Thousands of bureaucracies, local-national-multilateral, and tens or hundreds of thousands of central planners, very often their plans contradict or duplicate the plans of other bright boys and bureaucracies. There is also "state capitalism" where an institution of coercion tries to enter the world of voluntary exchange. But such state capitalism is possible only via rule of men, not rule of law. Certain requirements and polices on taxation, business registration and other regulations that normally apply to private enterprises do not apply to government- or state-owned enterprises (SOEs). 3. "Survival of the fittest" economic theory is a wrong term. The appropriate term is "expansion of the efficient" and "non-expansion of the inefficient", or Yes, “bankruptcy of the inefficient.” Mr. A puts up a bakery shop in a corner lot, it was doing well initially. Then Mr. B and Mr. C also put up a competing more glitzy, more fanciful bakery shops nearby and draw in many customers of A. Does this mean the death, non-survival of bakeshop A? Maybe yes, but maybe No. People are rational, they innovate and adjust as much as possible. Those who do not adjust and innovate are likely to go bankrupt. So bakery A can focus on cheaper (and smaller) pandesal at P1 per piece while B and C sell fancy pandesal at P3 or more a piece. They serve certain markets, certain consumers, over the same locality, and they can all survive, no one dies. Instead of A prospering to become a big bakery shop, it just retained its small size in that area, and can plan an expansion elsewhere, in another village or municipality where it can innovate in its products, pricing and marketing. Market segmentation, product and pricing differentiation. These are the key for enterprise innovation, market competition and economic freedom. Even people who took Economics for their college degree forget their Econ 102 or Micro Economics course. They may consider reading old books on microecon, or have a sit down in one undergrad lectures at UPSE. Instead of listening to the Pope on economics, perhaps people should consider listening to undergrad lectures at UPSE or other universities. They will learn more. 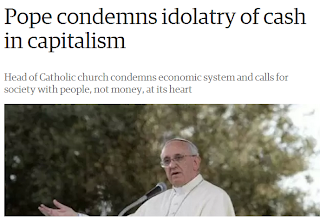 But if they want to hear stories for enrichment of the soul, then they should listen to the Pope.